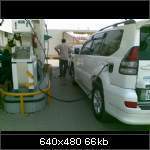 today i went to refil my cuore cng n was amazed to see a prado refilling cng.it thought to share it with u tooo..
^^ post the pics ! Why is every one acting like its a rare sight, most of the v8 cgnus and LC are on cng. I think we all remember the time when cng was looked down on in lhr people used to be scared of cars with cng (kahi phat tou nahi gaey gi) now 75% of the cars are running on cng. So People moral is jiss ki cheez woh jo chahey karey uss key sath. We should only comment on it when we buy such a thing and run it on petrol for a year or two. Maybe than we can give our opinion about it. 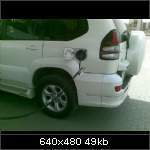 And thats very lame k is sey behtur hai corolla lei lou cng wali, why dont u say k sirf mehran mei cng honi chaiey.lolz. 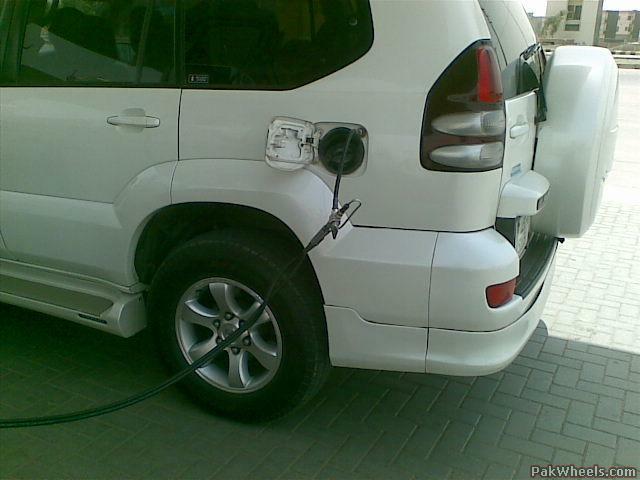 Yea chalaney waley ki marzi hai k woh mehran petrol pei chalaey yah prado cng pei. yaar aap tou seedha dil par lay gaee !! 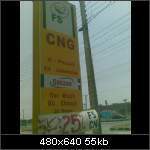 is this the same cng pump which is located on shakut khanum road . They sell Rs 36/kg ! ! cuz there r 3 pumps in a row and alwaz in competion . not the cng but ur spoting is hilariuos for me! one day i said u to take the snap of s2000! and today ur posting a prado just beacuse of cng! na zulm karo bechari k sath! Its not a matter of "go green"
People want to keep LION as pet but they donâ€™t have MEAT to feed them. You can compare animal and cars the way you drive them. 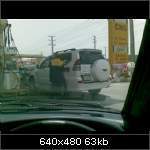 You can compare animal and cars the way you feed them. You can compare animal & cars the way you treat them. 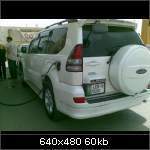 My logic is very simple regarding CNG up to 1000cc its ok & above 1000cc I personally donâ€™t like.